FARC guerrillas signed peace deal with the Colombian government in 2017 to end a five decade long war in the country. Now they're telling their side of the story to adventurous travellers. 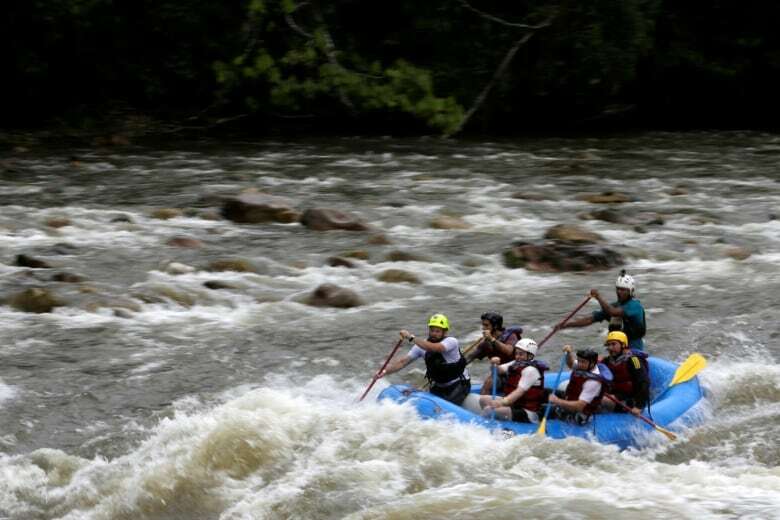 It's unlikely anyone expected Colombia's FARC guerilla fighters to get into the tourism business after the country's 2016 ceasefire. 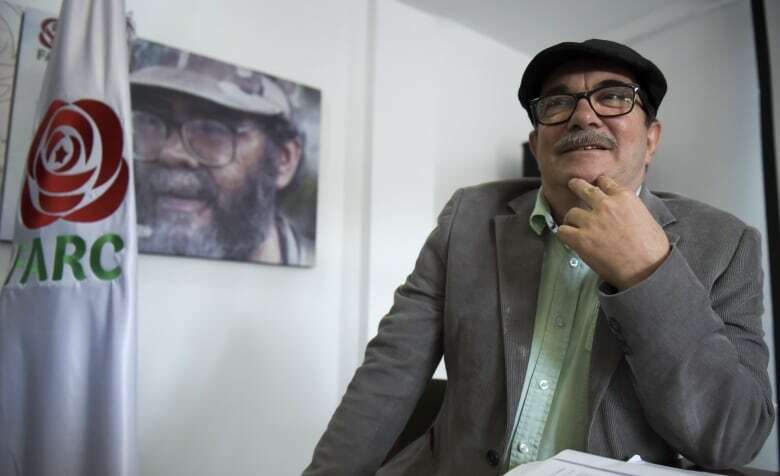 FARC — also known as the Revolutionary Armed Forces of Colombia — was one of multiple quarrelling groups in a decades-long conflict that took the lives of more than 250,000 people. 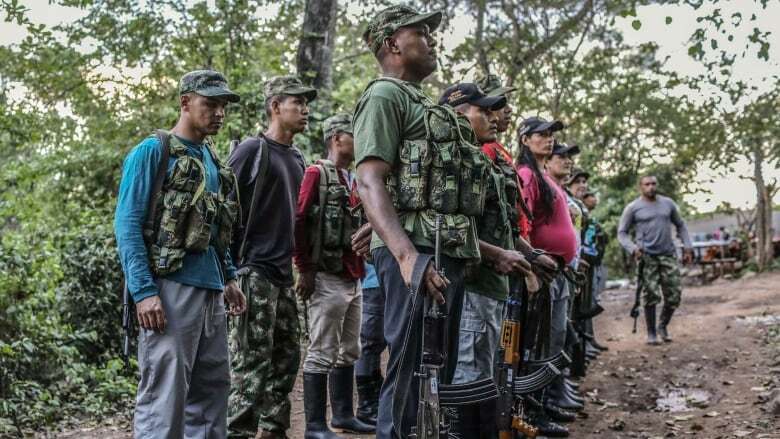 When the ceasefire was signed, FARC transitioned from an armed group to a political party, but many of their members struggled to find a new place away from the battlefield. In La Guajira, a rural area in the north of Colombia, sits a former FARC camp. It remains an active village inhabited by former fighters and now they're opening their doors to others through tourism. Laura Dixon, a British journalist, wrote about her tour of the area for the Daily Beast and spoke about it with Day 6 host Brent Bambury. First of all, what was it like to even reach this place in remote northern Colombia? La Guajira is a desert region in the far north. It's kind of on the tip of South America — very top of Colombia — and you have to fly from Bogota to the regional capital, and then to get to the FARC camp there, [it's] a bumpy two-hour ride. And when you get to the camp what do you see? Can you describe the place for us? Is it luxurious? No, it's definitely not luxurious. From the nearest town, they're probably about 15 minutes along a dirt track. You pass the UN checkpoint; you pass the army checkpoint as well. When you get to the FARC camp, there's some murals. The FARC have kept their name. So, they're still called FARC, but they're no longer the terrorist organization; they're FARC the political party. And then the camp itself is full of low-rise blocks of housing, little shacks. There's a shop, there's a little cafe and then there's a few communal areas as well. But it's very, very basic. The ex-guerrillas themselves all have shared bathrooms, for example, and their houses are really just a small room in a makeshift house. How inviting did it feel to be a tourist in this area? Years ago, it would have been an absolute no-go for tourists. But a lot has changed in that area since the peace deal. It's still not somewhere that lots of tourists would go. It's still a rural, poor part of Colombia. The next step, I suppose, is going to actually stay with the FARC. Is it welcoming for somebody who's looking for a tourism vacation? No. I mean, this isn't a tourism project that is your usual holiday fare. It's going to visit a FARC camp, where they demobilized and where a lot of ex-guerrillas are still living. So FARC was remarkable because there were a large number of women fighters who were enrolled in the membership and you met one of them, Elisa Castro. Tell us about her and the life that she lived. She spent many years in the guerrilla. She was at first a sympathizer who was helping them, and then she decided to join the guerrillas. She had family members who were fighters as well. She left her son to join and then she actually had a child while she was in the guerrilla that she had to give up within a week or two of giving birth because she thought it wasn't safe to keep the daughter with her. And that's so traumatic. Did she express any regrets about fighting this war? No. Elisa and other fighters that I met up there, many of them felt that it was a war that had to be fought. They felt they joined for legitimate reasons and things that happened during the war had been justified for the cause that they were fighting for. She obviously, I think, felt some personal sadness at having to give up her daughter. She left her with a friend to raise but didn't see them until after the ceasefire. So, it was about 18 years until they saw each other. Reuniting with her [daughter], she said, had been one of the greatest things that's happened since the peace deal. Did Elisa, or any of the others, say anything about their involvement in the violence that was connected to FARC: the kidnappings or the killings? Or did you wonder while you were meeting people whether they had been involved? Yeah, and for me individually, it was very strange to be in this scenario when you've got someone talking about tourism ... when you know the history of the FARC, and what they as an organization did. In terms of the individuals, some of them were fairly open about sharing what happened to them and what they'd done as well. Others were a bit more closed about that. They're sorry about what happened during the war in a general sense, but maybe they feel like it was justified. It's an unusual conversation as well. Colombia's just starting to have that conversation about exactly what it is that happened in the Truth and Reconciliation Commission that's going to go ... hear people's testimonies, hear from the victims as well. That's all just starting, so I think we're still at a very early stage in terms of people acknowledging what they did — what was right and what was wrong. 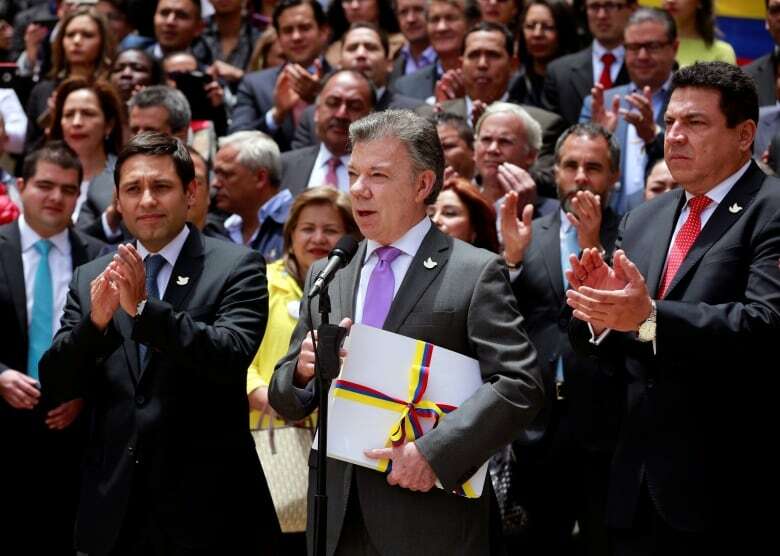 But this peace agreement, this ceasefire with FARC, seems deeply unpopular. A lot of Colombians would prefer to see former FARC fighters in prison and here they are ... running a kind of a [bed and breakfast]. Why do you think this is a good thing? The project itself is a tourism project, but really it's a historical memory project. They want people to come meet them and hear their side of the story. I guess they were so long in the jungle that many people have never met them, they didn't have a sufficient way of getting their message out. Post-peace deal, they want there to be a better sense of understanding about why individual people like Elisa, for example, joined the FARC. In Northern Ireland, there's a series of walking tours that are run by the two sides that fought in the war there — the people who were loyal to the UK and people who want the north of Ireland to be part of the Republic of Ireland. I feel that this is something in the same kind of mode, where it's hearing the story from the other side, which gives you a completely different perspective on what happened. Colombia really needs projects like this to work so that people who might have spent, five, 10, 40 years in an armed insurgent group ... have a chance of making a living in a civilian setting. I guess there's always a risk that anyone who feels like the peace deal hasn't worked for them, or that their reintegration hasn't been successful, could feel a temptation to go back to something that they've known for a long time, which is picking up a gun and fighting. This interview has been edited for length and clarity. To hear the full interview with Laura Dixon, download our podcast or click the 'Listen' button at the top of this page.